I frequent garage sales and places like Value Village or thrift stores in search of “castaways” that I might be able to upcycle. I often have a list in hand and am looking for specific items, but will sometimes come away with unexpected treasures. I am a total sucker for things made of wood and will always search the housewares for items of this nature. Here are some of my past purchases. Wooden items like this often sell for under $5 and can be really beautiful once they are painted. 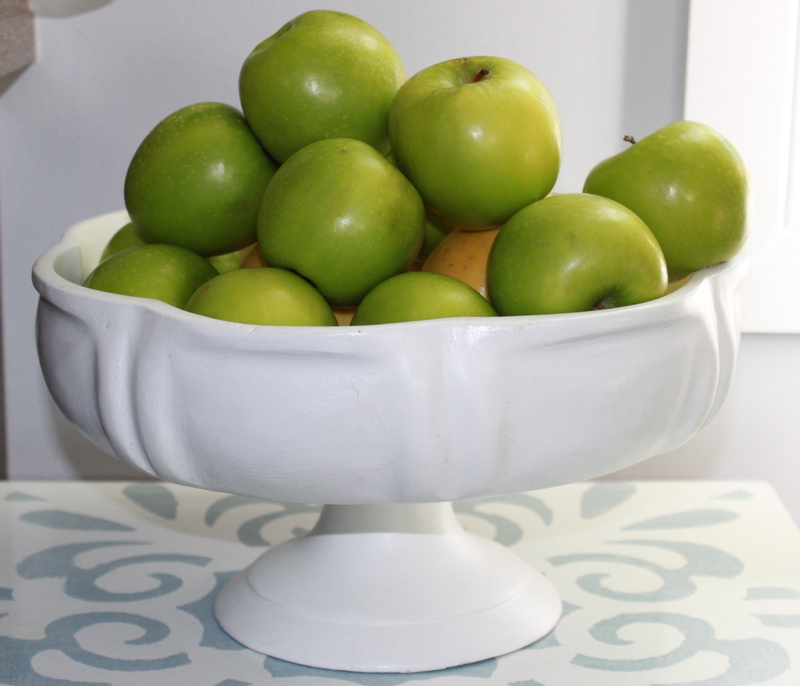 I upcylced a pedestal bowl similar to the one in the photo above and we now use it as a fruit bowl in our kitchen! I simply sanded the surface to scuff it up for proper paint adhesion, and then primed and painted the surface. Spray paint is ideal for getting a smooth and professional finish. Posted on September 3, 2013 by Cindy Roy •	This entry was posted in DIY and Upcycling and tagged DIY, DIY projects, upcycling, wooden bowl upcycle, wooden dishes. Bookmark the permalink.